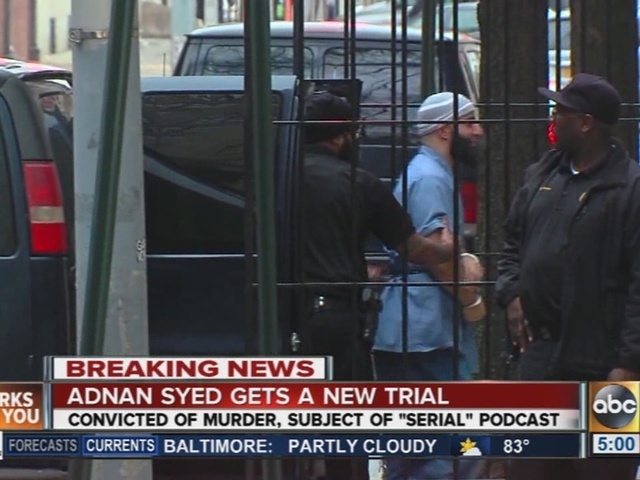 Adnan Syed, the subject of the popular Serial podcast, has been granted a new trial. His lawyer, Justin Brown, tweeted the news late Thursday afternoon. Syed, who was convicted in 2000 of murdering his ex-girlfriend, Hae Min Lee, was granted a post-conviction hearing in February after his case gained national attention in 2014 with the release of Serial. In the post-conviction hearing, lawyers for Syed argued his original attorney was ineffective because she failed to call an alibi witness, and that prosecutors presented cell tower data that misled jurors. The podcast, hosted by Sarah Koening, examined inconsistencies in the original case. The judge's order, however, appears to show it was not the failure Cristina Gutierrez, Syed's original attorney, to contact alibi witness Asia McClain. Instead, it was Gutierrez's failure to cross-examine the state's cell tower expert that convinced the judge to grant Syed a new trial.